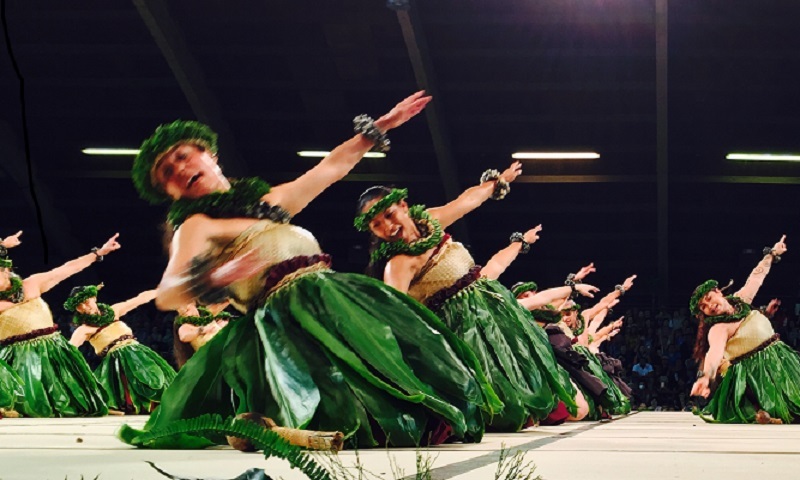 The 2018 Merrie Monarch hula competition’s Group Hula ʻAuana and awards ceremony were held on Saturday, April 7, 2018, at 6 p.m. in the Edith Kanakaʻole Stadium in Hilo on Hawai‘i Island, where hālau hula performed modern style dances. 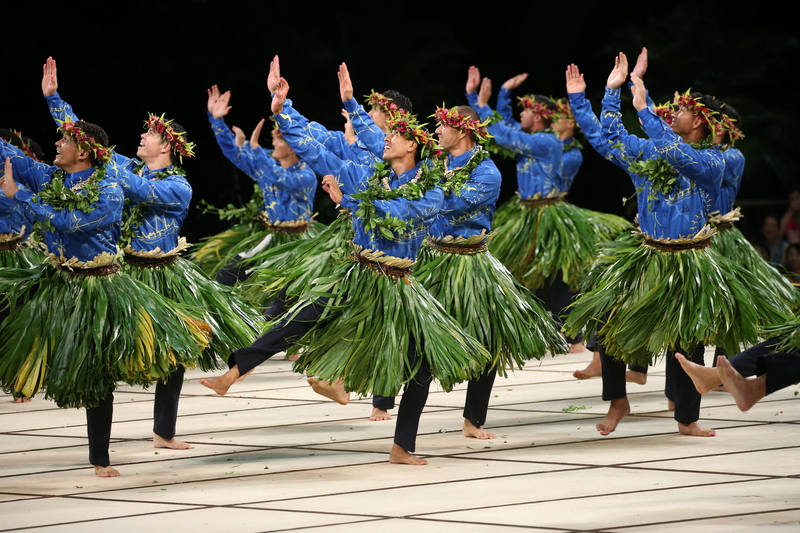 Twenty-four hālau competed over the course of three days in traditional and modern hula performances. 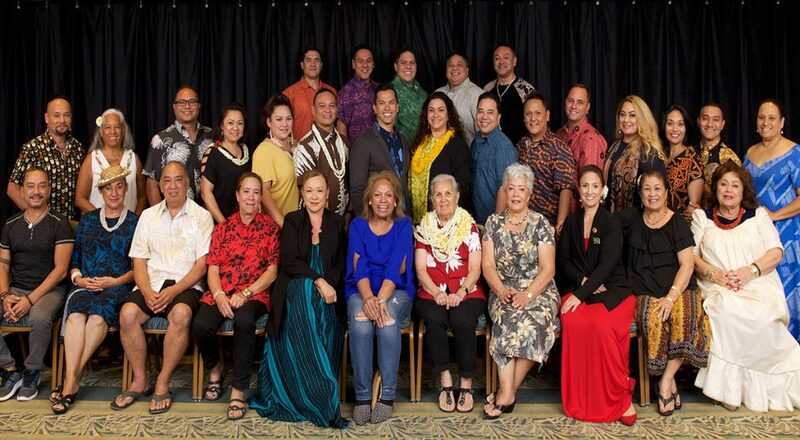 Maui’s Hālau Nā Lei Kaumaka O Uka, under the direction of Kumu Nāpua Greig, won the overall title at the 55th annual competition. 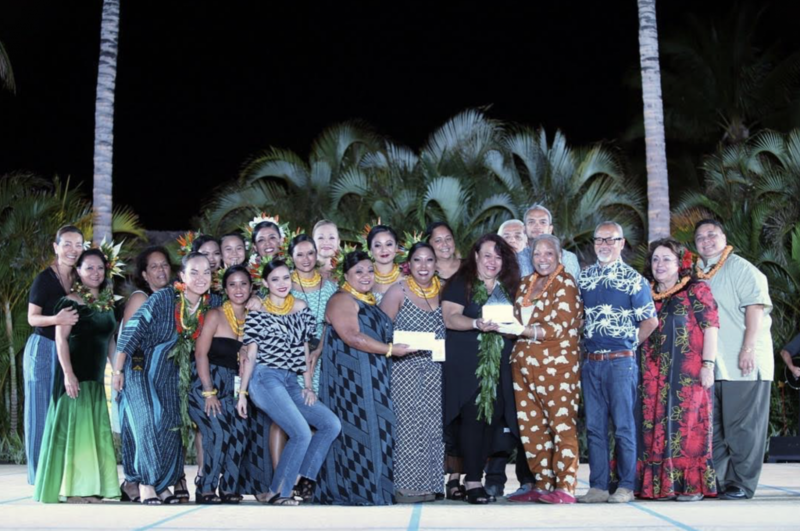 The women took the overall festival title, overall wahine title, first place in the wahine ʻauana division and second place in the wahine kahiko division. The night before, Shalia Kapuau‘ionalani Kikuyo Kamakaokalani of Hālau Nā Lei Kaumaka O Uka took the title of Miss Aloha Hula 2018. The winning hālau from Waiohui, Maui, took the stage on kahiko night with Ke Ahi A Lonomakua, derived from the love story of Pelehonuamea and the pig god Kamapuaʻa. Their modern hula celebrated the island home of Maui with Nā Mele Kaulana No Maui.